Winter driving can be challenging, even for the most experienced of drivers. Motorists have to contend with a number of winter-related issues, including reduced visibility due to darker hours and adverse weather conditions. When the road is your workplace, the risk of an incident rises significantly. 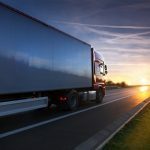 In fact, a third of all road traffic accidents are believed to involve an at-work driver, while there are more than 5,000 incidents each year involving transport in the workplace. So, it is imperative that fleet operators do whatever they can to improve driver safety. All fleet operators should consider putting a winter driving policy in place. This should outline how vehicles are prepared for winter, which equipment should be carried in case of unexpected situations, and what procedure to follow in the event of an emergency, such as an accident, breakdown or getting caught up in bad weather. Check vehicle lights are functioning properly, indicators, reflectors, number plates and windows are kept clean and free from dirt, ice or snow. Lights should also be properly adjusted and aligned to prevent dazzling other road users. Make sure the water levels are kept topped up and wipers are working properly; dirt from winter roads can cause significant visibility issues. Check tyre pressure weekly before using the vehicle, when the tyres are cold. The minimum legal tyre tread depth is 1.6mm, but the AA recommends at least 3mm for winter driving. Winter tyres may be used for improved safety. Ensure the battery fully charged. The winter driving policy should be communicated to drivers and the content be readily available in a driver handbook. Drivers should be kept abreast of any policy changes and regular communications are key. Companies should consider using email bulletins, workshops, one-to-one briefings and driver training to ensure all staff are aware of their responsibilities and how they might tailor their approach during winter. 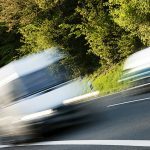 Statistics show that driver error contributes to 73 per cent of accidents*, so mitigating fleet risk should be a high priority, particularly during the challenging weather conditions. · Switch on headlights and fog lamps if visibility is reduced. · In fog, avoid ‘hanging on’ to the rear lights of the car in front; it will be too close to brake safely. In strong winds, avoid bridges and watch out for falling debris. · In the event of a breakdown, inform the police and get the vehicle off the road as soon as possible. The main thing to reiterate to drivers is that their full attention is needed to safely navigate the roads, particularly in wintry conditions. 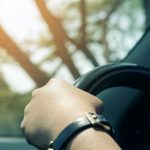 Driving more cautiously, and with more concentration, will help drivers stay safe on the road and be more likely to be able to prevent an accident or incident. Fleet management technology can help by providing data on various elements of driver behaviour, which can help to build a picture on road risk. During winter months, it may be appropriate to focus on specific KPIs, such as harsh steering or braking, where poor performance may be particularly dangerous in wet or icy conditions. Technology can assist fleet operators in planning for the changing winter driving conditions, whilst still maintaining a high level of operational efficiency. This includes effective data-driven routing and scheduling. Thanks to advances in technology, routing and scheduling software can now integrate with telematics to help enable dynamic planning, that takes into account data on historic journey times, the up-to-date traffic situation, and the most efficient routes between specified locations. In wintry conditions, roads become more congested and driving conditions more difficult. Dynamic planning could allow for working times to be adjusted accordingly, perhaps adjusting start and finish times to avoid peak hours and, therefore, traffic. The technology also allows companies to plan ahead, in case of delays, and manage expectations by scheduling automatic email or text notifications for both the office and the customer. How do you get employees to cut costs by improving their driving behaviour? Traditional approaches have their place but there’s a better more sustainable way - engagement.